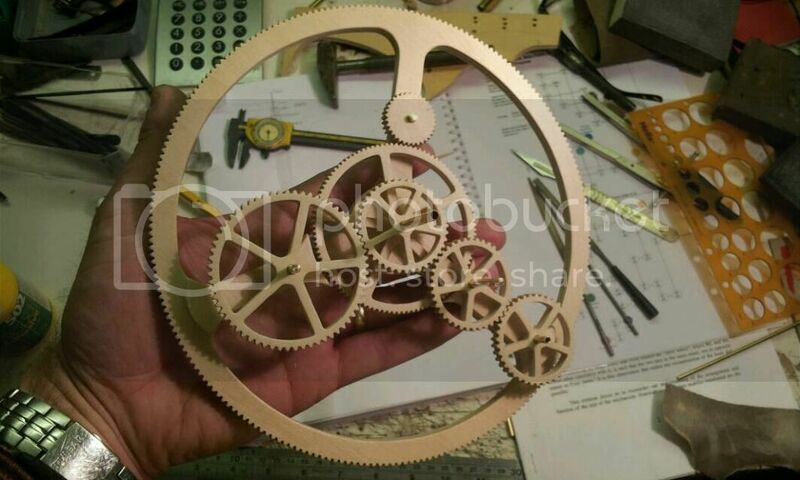 The Steampunk Forum at Brass Goggles > General Steampunk > Tactile > Chronautomata (Moderator: von Corax) > Antikythera Mechanism Build. After not being on here for a good year or so I thought that it was high time that I posted another project within these hallowed halls. 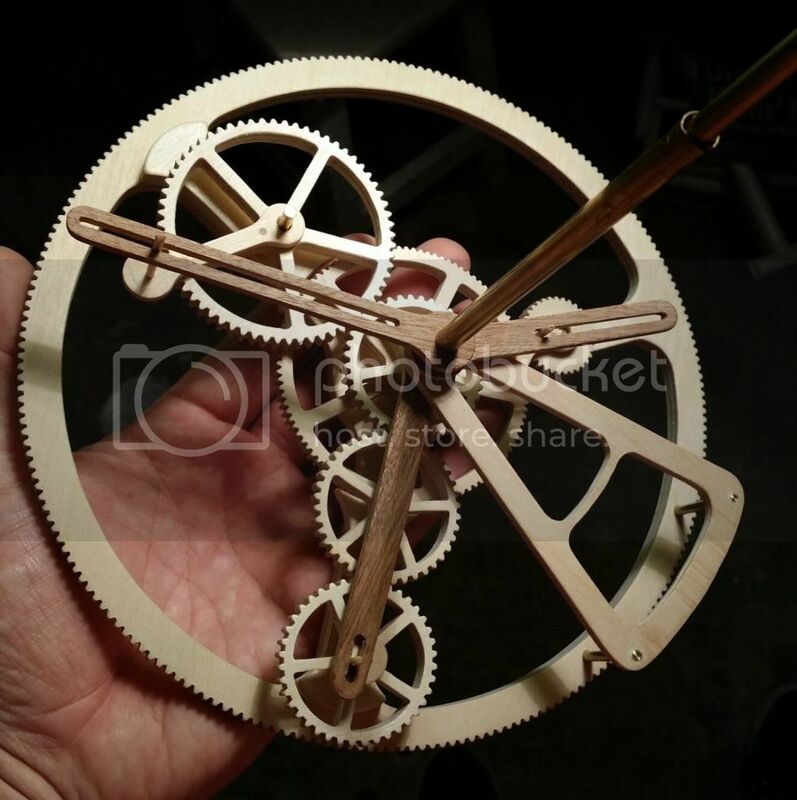 So, after several years of chewing over it, researching and planning, I'm finally going to build a wooden geared version of the Antikythera Mechanism. For those not familiar with it, it's the 2100 year old gear driven shoe box sized machine that was discovered in very bad condition within a shipwreck off Greece in 1900. Since that time researchers have discovered that it could predict planetary movements (including retrograde motion where the planets appear to move backwards in the sky), eclipses, passage of time, moon phases, and all with an accuracy that in some cases has less than a 1° error over a period of 500 years... and it pre-dates the first gear driven clock by over 1000 years. In other words, it's pretty darned clever. 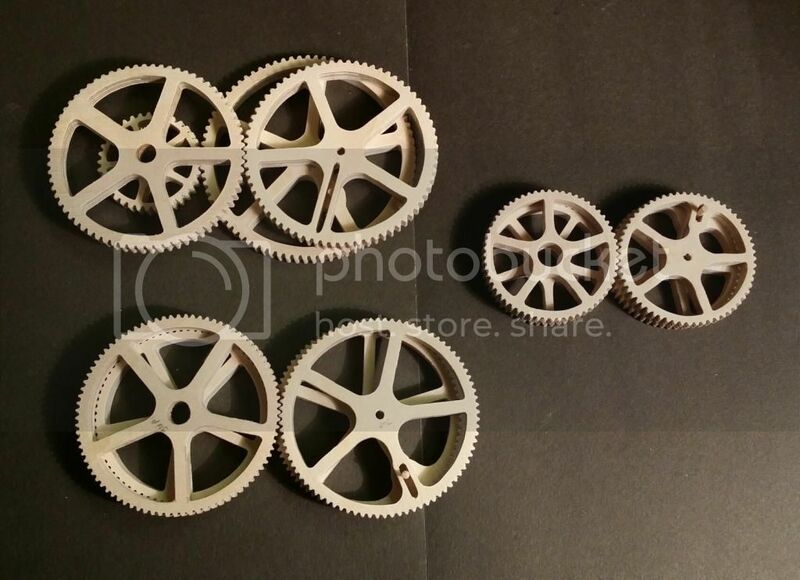 Latest research has put the gear count inside the machine at something in the region of sixty, and it would have predicted the motions of all the planets out to Saturn with a really neat and elegant system of gear trains. The machine will end up about one and a half times bigger than the original, but it's still quite small considering what it will eventually do. 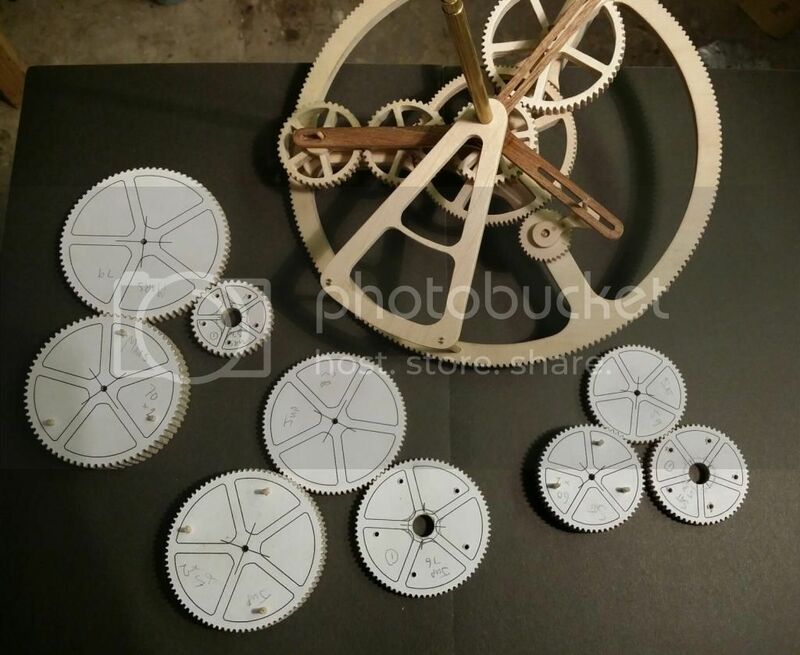 I've already made a start, and when I get my Photobucket account woken up and dusted down I'll post some photos of the first few gears. Good luck with your build! You probably have the plan of the whole aperatus. I've seen a youtube video of a Antikythera Mechanism made from Lego. It explains how it works. Perhaps there is a building plan on the internet for a Lego mechanism. You could use it as a guideline for your build, perhaps. Good to see you back, and with fantastic project! I just hope that I haven't bitten of more than I can chew. I'm just playing with the gearing for the first module that controls the pointer positions for the Sun, Jupiter, and Mercury, and even these first few bits are fighting back! If you aim for the stars you might at least reach the solar system! Good look, I break out in a sweat just thinking about it. 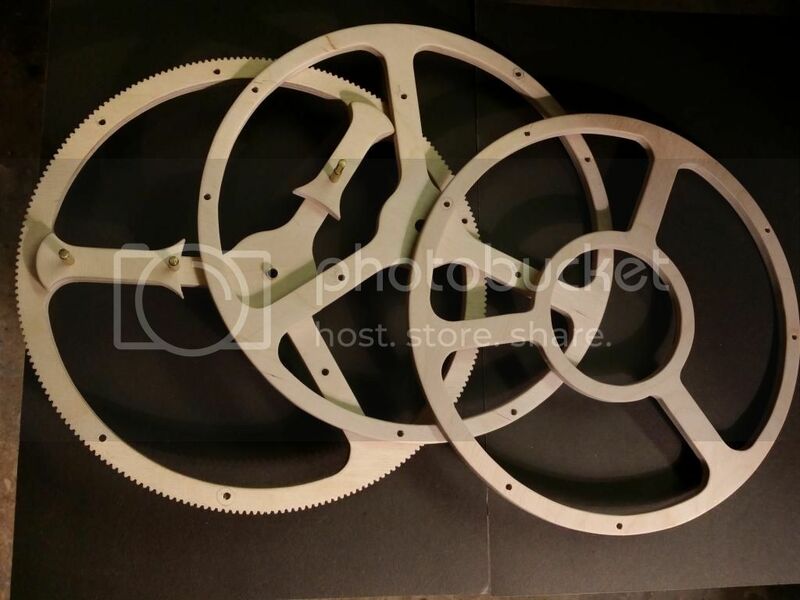 If I got this right, there should be a photo of the first bit of gearing - if it's not there I'll try again in the morning! There must be an easier way of posting photos by now rather than pasting links, isn't there? #Edit - took a few hours, but here's the photo! I bow to your skill. Lovely work. Good to see you back, sir, and I look forward to following this project. Thank you Mr Cooper - all compliments gratefully accepted! Having said that, this machine is only gears driving gears, with a couple of clever slotted drives thrown in for good measure. Minds far greater than mine have worked out the gear trains, so all I'm doing is physically cutting them out and putting them together.... ok.... so there's a bit more to it than that, but I guess my point is that the hard work is already done (thank you Michael Wright, Eric de Sola Price, and all the other clever blokes over the past couple of decades who have worked out the maths and how all the gubbins actually worked and went together). Just hope I can do it justice. Next progress shots might not be for a month or so as I have a couple of weeks of madness ahead of me before I have three great weeks in the U.S. of A. In the Washington DC area, so I'll get cracking with it again on my return. Nice project, please, do keep us updated. And, as always, if unsure if your photos are posting correctly, hit the 'preview' button first to check if the shots do post then hit 'post' if all is well. If not just try another format until they show up. Curious to see how this works out. I went to a rather good talk on the Antikythera mechanism a few years back and I found it fascinating. You know its gonna be a good session when the tech priest rides into battle on the back of a gun-servitor. There is an extra gear in The Great Machine of the cosmos tonight. 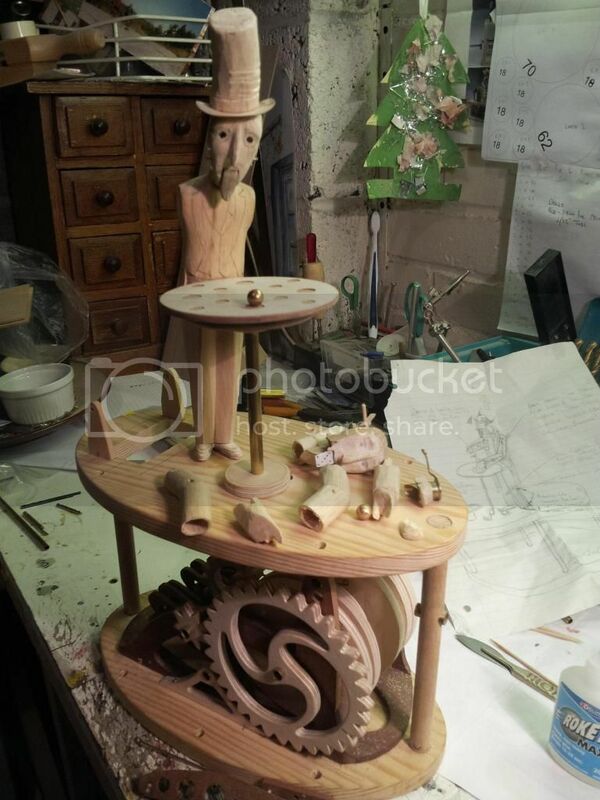 Hi Folks, just a quick update to let you know that I haven't given up with this, but I have just been side tracked a little into finishing off the little magician fellow in the photo. 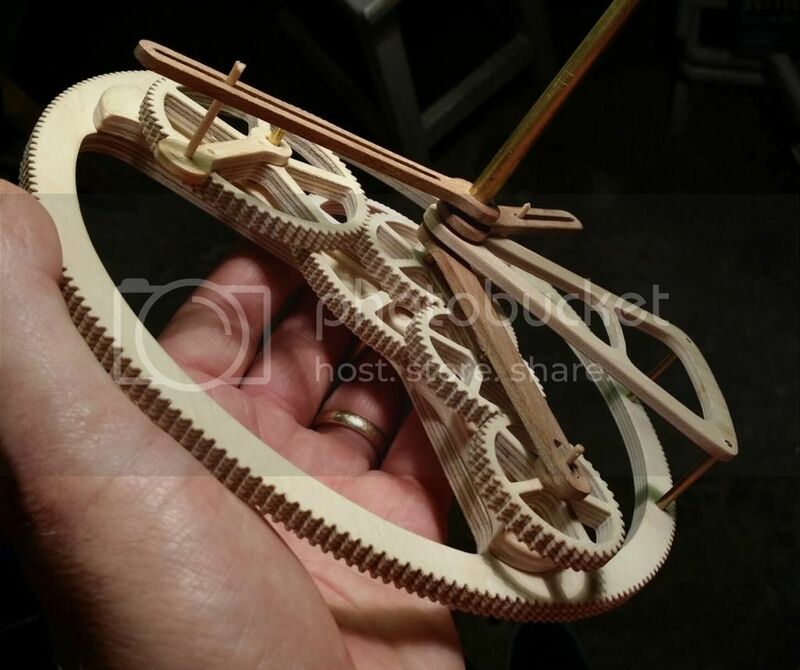 He's a project I started in 2006 but drifted away from when other things kind of took over (orreries mainly...), but having visited the fella who originally commissioned it on my recent trip to the States I've been given the enthusiasm (or possibly guilty conscience...?) to get him finished, so the Antikythera Mechanism WILL be done as soon as he is performing his magic trick successfully as advertised (and only eight years late!). "In a world whose only quarrel with instant gratification is that it takes too long, we are practitioners of a dying art: patience." Fascinating. I will be watching with great interest! The attraction of getting on with the gearing on this wee beasty has overtaken the need get the magician finished for the time being, so I've made a little progress over the past couple of days and have formulated a plan of action for the next couple of stages. So, what I'm working on at the moment is fitting the pin drives to the outer most gear of each of the three short gear trains - the pins then run in slots in three levers that return the movement of the gear trains back to the central column of nested brass tubing just like on a traditional orrery (the one test fitted in the photo is to drive the sun pointer), this will then show the apparent speeding up and slowing down motion of the planets (and the sun) as viewed from Earth. More very soon I hope. We need an emoticon for munching on popcorn! So anyhow, the latest shots show the three pin followers for the Sun, Mercury, and Venus. 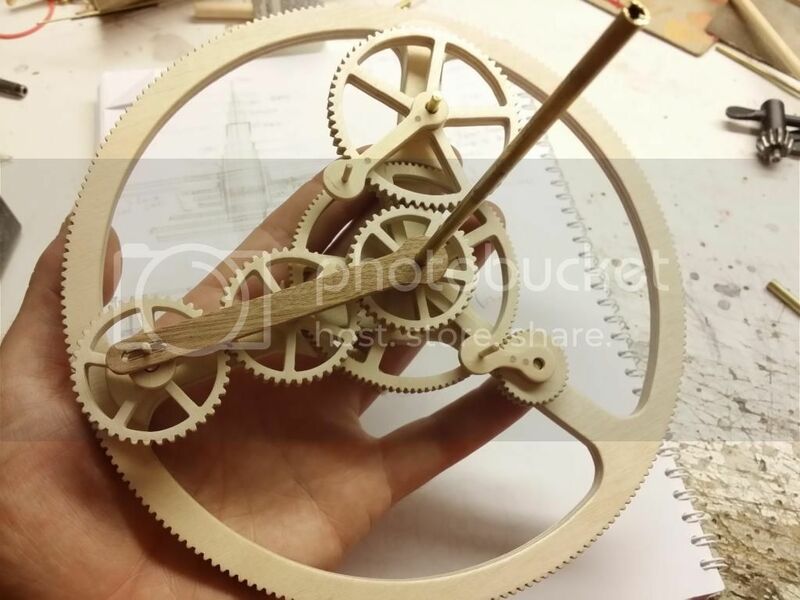 The triangular frame provides a tube that is fixed to the rotation of the large main gear wheel that will provide a fixed date pointer that all the other pointers can be seen moving against. So I now have a central core that will provide the moons movements (no gearing done for that yet), followed by the nested tubes to move the pointers fur the Sun, the fixed (mean) date, Mercury and Venus. Here's another quick progress report for you on this daft project of mine. All in all it's going really well - one minor hiccup when I realised that I'd got the build order wrong and had put the little triangular frame in at the wrong level, a trivial thing that would made the planet output pointers in partially the wrong order, easily fixed though. Very nice! Take your time. Well that's all the gears cut for the back end of the machine - the bit that drives the planet pointers. Next job is to create some frames to house them in and see if they actually work!